So here's a big HELLO from me too you! 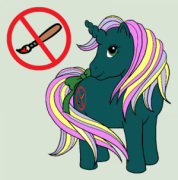 I'm looking forward to joining like minded pony passionate people! Welcome to the TP! I'm Alyx from Dallas, TX. Do you have a favorite generation of pony? Hullo and howdy from another Texan! Make yourself cozy. It's time for a raucous tea party!